Yesterday the fam. packed up, and headed out to enjoy a day at Hidden Lake Gardens in Tipton, Michigan. The gardens are a bit of a drive for us, but oh so worth the time it takes to get there. Owned by Michigan State University, Hidden Lake Gardens is a 755 acre botanical garden and arboretum that is full of natural wonder. Admittance is $3 per person, and once inside you can drive your car through winding roads, hike, bike, or walk around at will. We drove through some of the scenic areas, and then got out to walk the trails. This was underneath that awesome tree. There were all kinds of treasures along the way, like the tree above that allowed you to go underneath it's canopy and explore. Happy to lead the way. He's checking out something moving in the woods. 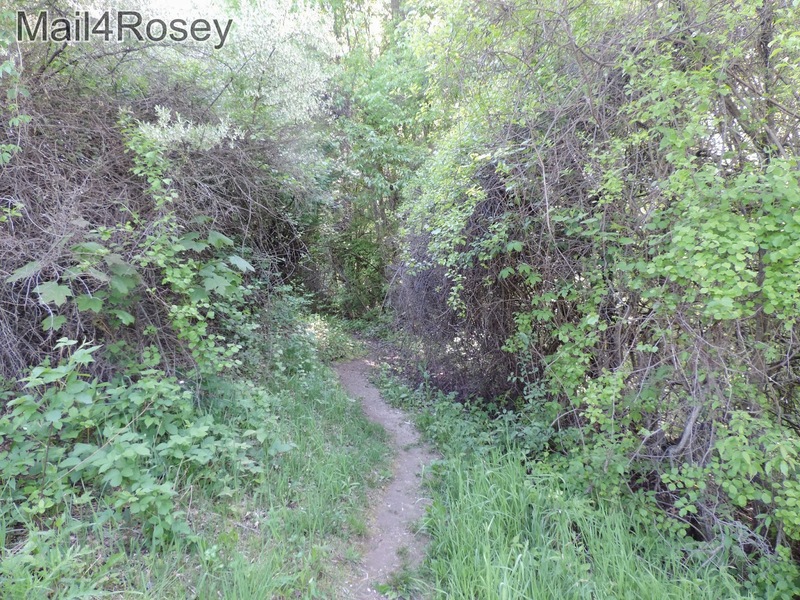 The trails are interesting to walk along because even though they're clearly designated, they're also following the natural path, with no man-made embellishments along the way. It's perfect because you get to see the animals, hear the frogs, and even get tangled up a bit in the brush. 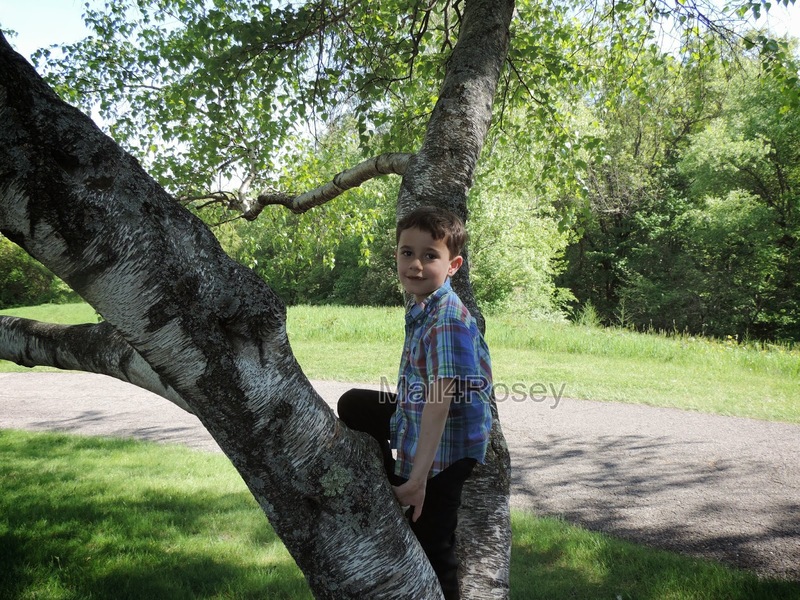 Getting ready to have our picnic, but still making time to explore one more tree. We visited the gorgeous special species plants and flowers too, that were carefully nurtured in the different indoor climates (I presume by students at MSU?). For me it was love at first sight when I saw this huge Aloe plant. 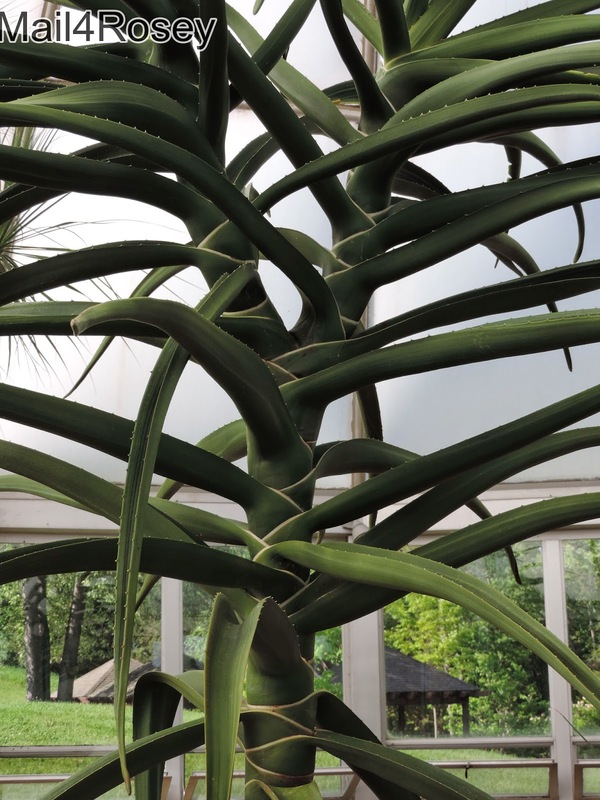 For me it was love at first sight when I came across this huge Aloe plant. If I lived in a tropical climate, this would be exactly what I would want in my backyard. 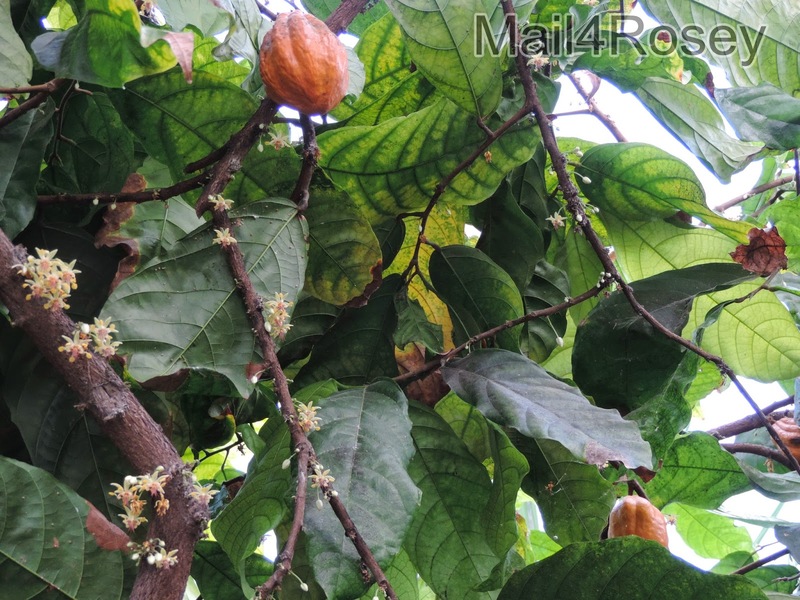 I thought the Cocoa Tree was really interesting, and this one appeared to be flourishing! There were a lot of pretty flowers to see too. & provided a great outlet for us to share some quality family time together. If you're in the area, or have something similar in your neck of the woods, I encourage you to go! It was really just a great family day out, and a fun way for us to explore everything that is now (hurrah!) blooming, growing, and green! What a cool place to visit. I would have enjoyed a day here. My kind of get away. The trees are really cool. Indoor cactus garden. Brilliant idea. Looks like a cool place and at a great price. That definitely does look like it's worth the drive. I love places like this where you can just sit back and enjoy nature. Looks like a beautiful place to visit with the family. It's great that the weather has finally been nice enough to get out and have some fun! That looks like a fun place to visit. 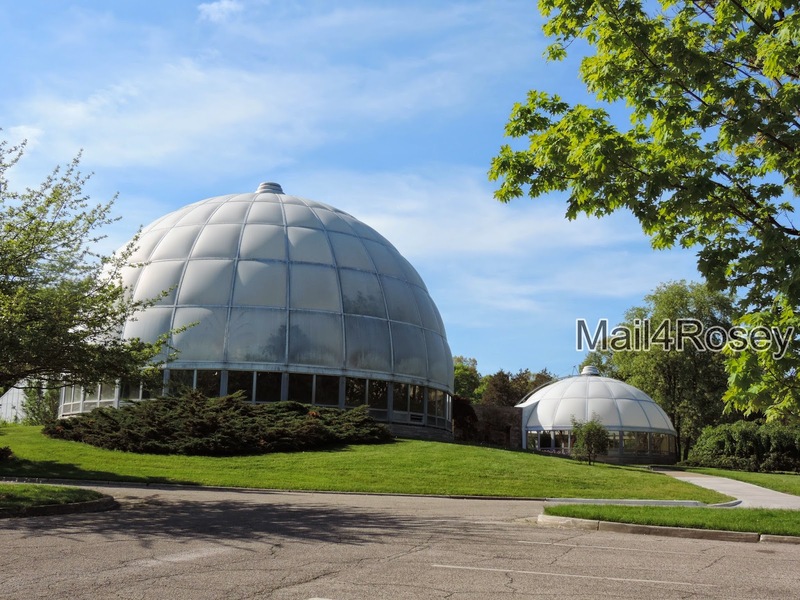 I would love to see what's inside the domes. Wow what an absolutely beautiful place to visit! My Stepson works at Phipps in Pittsburgh and grows all kinds of Cacti that I have never seen before. Looks like you and your family had a really fun, fun day. I love botanical gardens. So beautiful. It looks like you guys had a wonderful time. Sounds like this makes for a wonderful day full of beautiful scenery! How peaceful and relaxing. It looks like a perfect place to take your entire family. Wow, that looks like a beautiful place for an adventure. It's affordable and gets everyone up and moving too! This is such a beautiful place. I love all of the trees and the nature all around. I love taking the kiddos on a nature adventure. My daughter has a keen eye for detail- it is always amazing to see what she finds! This looks like a wonderful day trip. I've been to Michigan many times, but never heard of this. We'll have to check it out next time we are there. Those flowers that look like little dancing girls are super cute! What an incredilbe place. 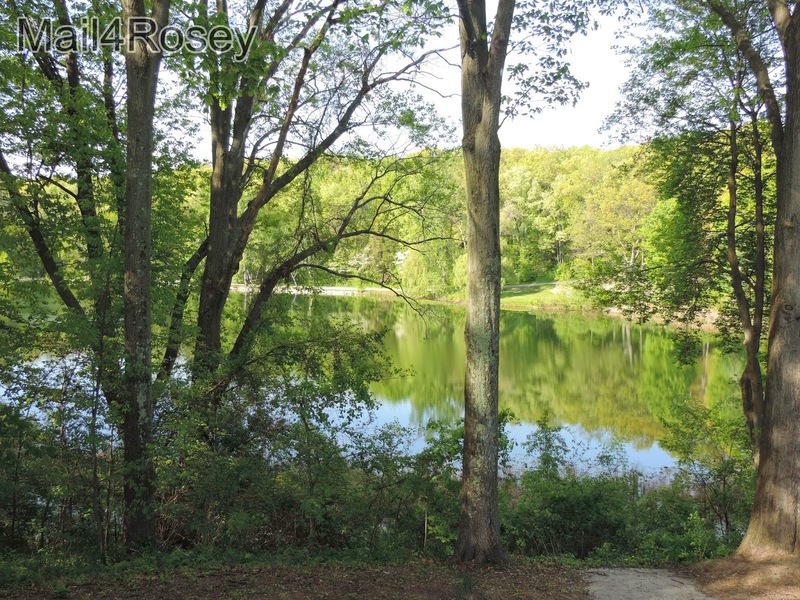 And reasonably priced too, so almost everyone can enjoy the beauty and the serenity. Thanks for the mini tour. What a beautiful place to visit. I love gardens. I love taking trips to do outside activities - we need to be "unplugge". This place looks awesome and worth the drive. I love your pictures! 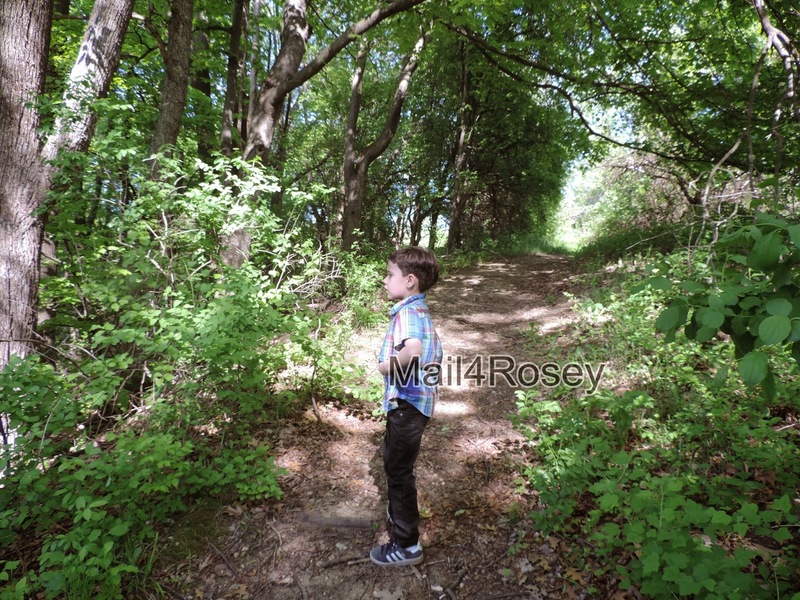 We did something similar in Montreal, I especially love when my son appreciates nature. The gardens are truly beautiful. It's a great place for photographs. What a nice place to visit! The gardens are pretty. Wow! That tree is insanely awesome! That looks like a great place to visit. My mom and I used to check out all sorts of little gardens like this. One locally, has flower gardens shaped and colored like quilt block patterns. Very cool. Goodness... This looks like a great place to play and relax. I love botanical gardens. This looks like an awesome place to visit. Ahh what a wonderful adventure! I"d love to do that. It seems so alive and green! Love the Aloe! I think my hubs fell in love with me because I used aloe on his sunburn while visiting me. I scraped them off myself and put them on. Thanks for showcasing a different part of Michigan! 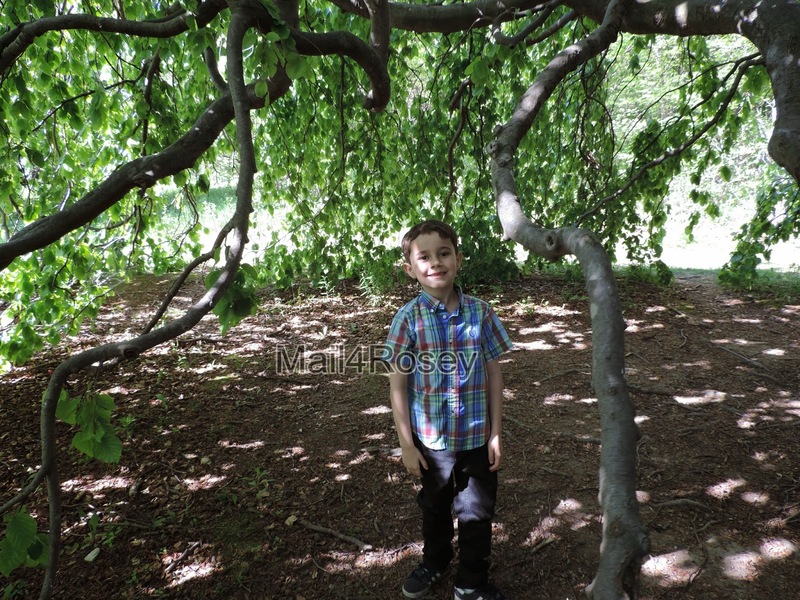 Beautiful photos, we love going to botanic gardens I think they give kids a really fun experience. Just gorgeous. It looks beautiful. I love that tree. this seems like such a peaceful place to visit, I would love to go there one day with the family. Hi Rosey, wow what a fun and fabulous day you had with the family. I love those kinds of days where you just pack and go sight seeing. Thanks for sharing you day with us. Looks like a beautiful park to visit. I love the photos and the aloe plant. Wow, that plant is huge! Looks like you had a great visit. That's really a great price! I love places that are filled with green things to see, and trails to roam. What a dream of a place! And those pink flowers are to DIE for!!! This place looks absolutely beautiful! I need to go here. Wow this looks beautiful! So glad you had a good time! $3 sounds like a great deal! Glad you guys had such a good time. I think my 5-year-old would enjoy this. That looks like a fun place to explore! The cocoa is cool! It looks like you all had a great time. 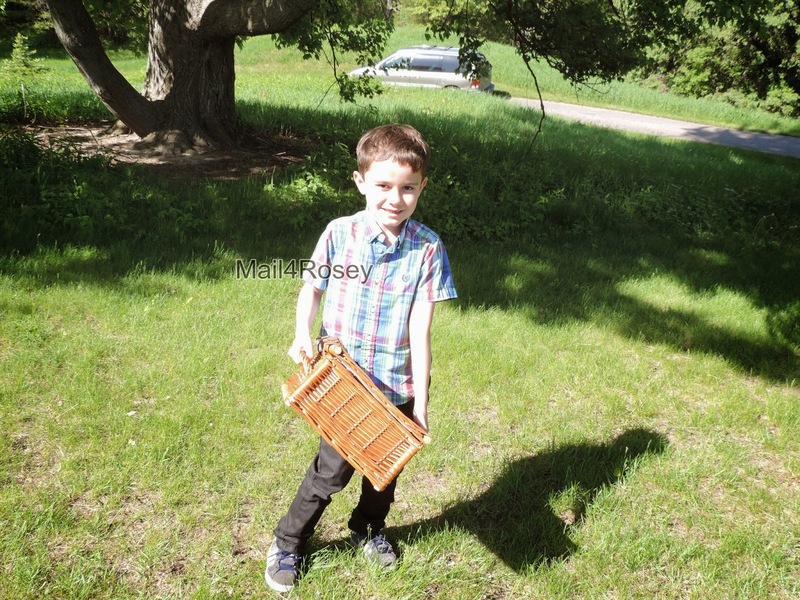 I love being out in nature and so does my son. I love exploring natural beauty with my kids. What a fun day! What an excellent place for a family outing! If you're close enough to go, I hope you make the trip. It's nice there! Beautiful little getaway. I love all the summer getaways my family does every year. Thank you for sharing this awesome place with us. Looks like a great place for a family picnic for sure. Oh Lots to see and do. Very pretty! Bet it looked that much better in person too, wonderful pictures! I have never seen such a huge Aloe Vera ... wow this place is so beautiful... now I know why it is called hidden lake garden! What a beautiful place to visit! I just love botanical gardens and we always stop by one when we travel. It looks beautiful and I think those are the best places to spend family time. Kids remember that forever. I know mine do. What a lovely place to visit and learn more about different plants. It look like he had a great time leading the way to the fun. Oh wow. Thanks for sharing the photographs. Looks like you found a hidden outdoor backdrop. Must have been a really amazing experience. It looks absolutely gorgeous there! 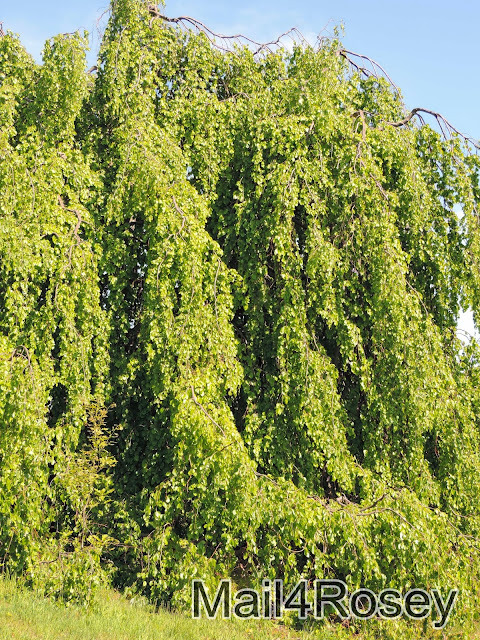 That tree is really amazing! When time permits, we do love to explore outdoor places like this too. $3 seems like a real bargain for a day of adventure there! What great fun! Any idea what that flower tree is called? I love it! 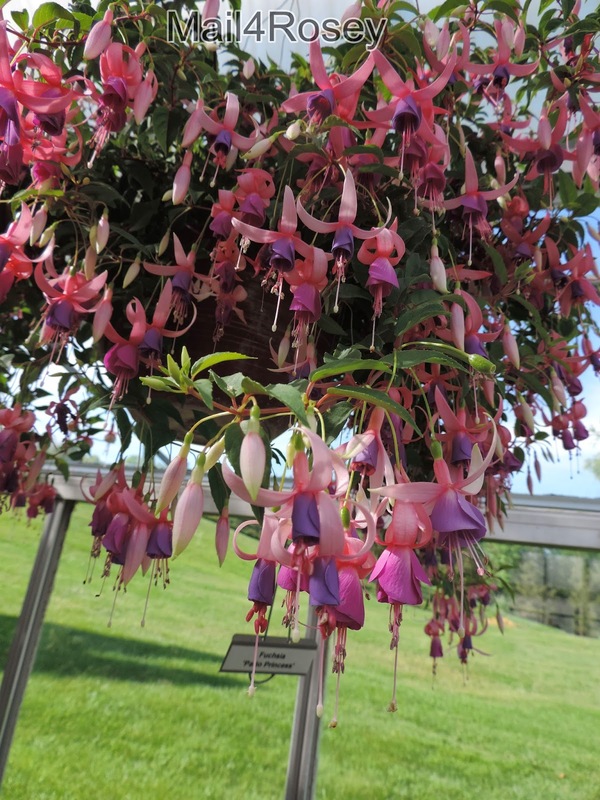 Great photos, I love the fuchsia, my mom used to raise them and they are still one of my favorite flowers :) Looks like a great place to visit, my boys would love it! Is nature beautiful? That looks like a fantastic way to spend an afternoon. I would have wanted to stay under that tree all day! But then I would have missed all the other great sites and sounds that nature park has to offer. Wow what a beautiful place, all the greenery and plants makes this look like a must go to place. Those are beautiful pictures. What a great place to visit. What a beautiful place! I wish I lived closer! This is beautiful. Thanks so much for sharing! I wish I could visit! i bet every time you go there there is something different to see. What a great family day.. I didn't even know that was there and I lived in the area. We went to the Children's Gardens a lot, but my kids would have loved that too! I'm going to look up the Children's Gardens. We haven't heard of those! Yes! It was def. both, and made for a really nice day. What a beautiful place! That must have been an amazing visit! How interesting to see cacti! I didn't expect that, but love it as a desert girl ;) The lush green is always a foreign treat to see. My husband just told me how high the temps get out where you live, but he said they're nowhere near as 'hot' as the high temps down south (that are not as high in # as where you live). I'm so curious to visit the desert for a bit! Oh wow. 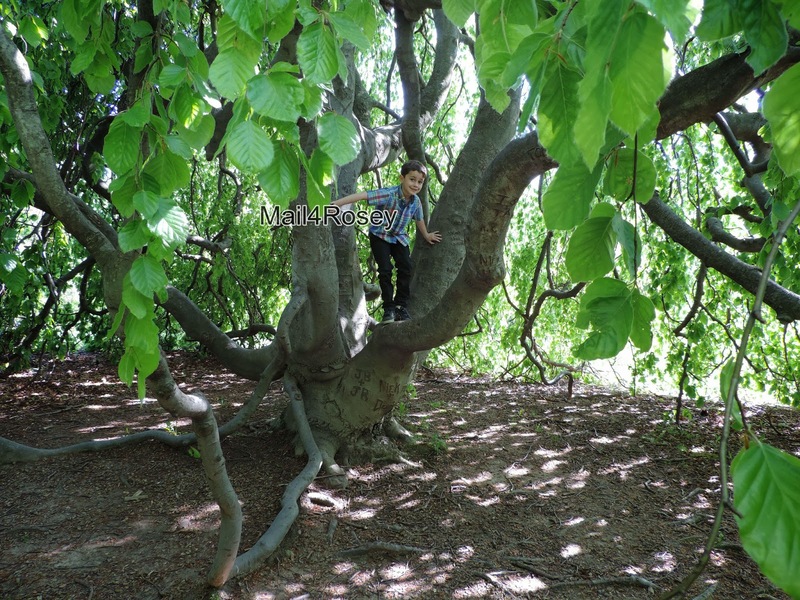 I love that climbing tree. The aloe plant is huge. I eat mine and I could eat on that for a long while. What a beautiful and fun place. And so affordable, I would love to go there. I'd never heard of this place before... And now I'd really like to make a weekend out of it! For only $3 a person, this is an incredible deal. And that Aloe tree! Amazing. Thank you so much for this post! Wow. They have some really amazing trees & plants. That would be nice to see.